My game group decided to take a break from Dark Sun, and we are now playing a campaign of Space: 1889, with the Savage Worlds rules (which is probably my favourite RPG rule set). 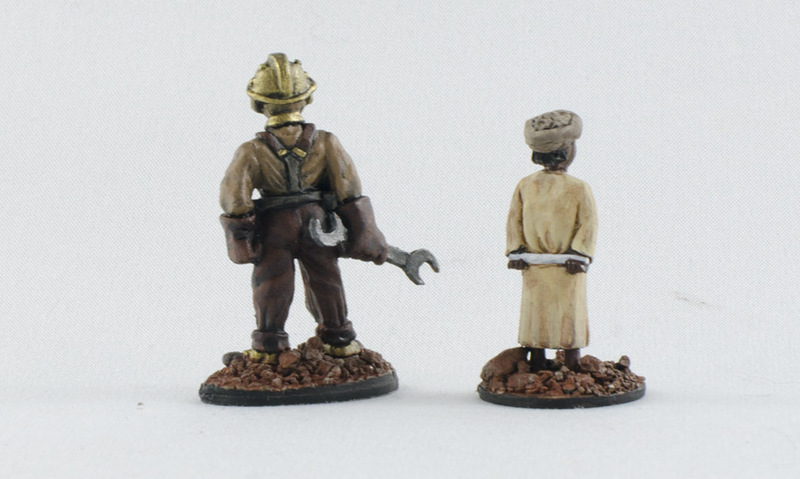 My character is an orphaned boy genius from Calcutta. 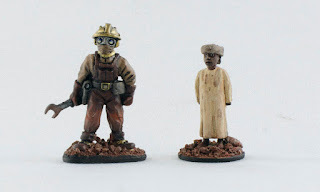 I have two figures for him, one in his street clothes and one in his survival suit. 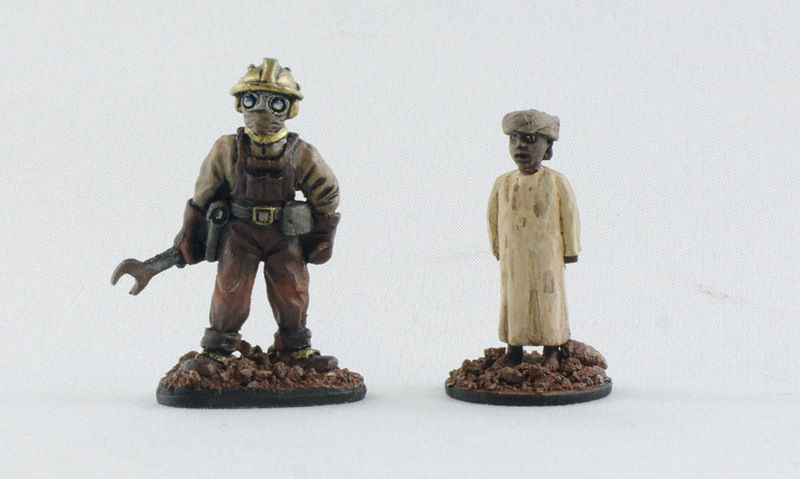 The be-robed boy figure is pretty vanilla, but I'm happy with the survival suit guy, especially the goggles. And I think the Martian red rock bases worked out pretty nicely as well.